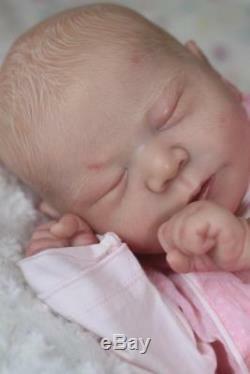 Reborn Baby Art Dolls by Artful Babies. Reborn from the gorgeous Chase by Bonnie Brown. All photographs are taken in natural light. 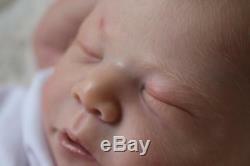 In a plain setting to show the quality of the baby. The photographs of this little sweetheart don't do her justice, each of my toddlers and babies are created to be the ultimate in realism. Many hours of love and dedication have gone into making this baby. She is a true collectors item. 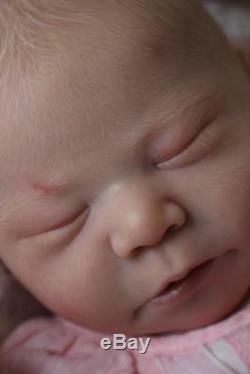 Baby's skin tones have been achieved using Genesis heat set paints which will not fade or rub off. Many micro thin layers are used to build a wonderful textured appearance. There is no paint sat on the vinyl, it is cured so that only pigment remains. The creases and wrinkles are blushed to perfection. 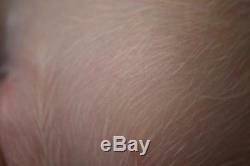 Baby has veining and capillaries, beneath the skin surface, adding to the true realism of this baby. There are slight blue undertones where the skin in normally thinner. 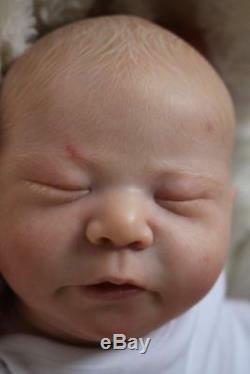 Finished with a special mix of my own making I have given this baby textured skin so it is amazing lifelike. Baby's little fingers and toenails have been lightly shaded, lighted tipped, and sealed with artist varnish. Baby's lips have been realistically tinted and finished with a satin varnish to add just a touch of sheen. Filled with the heavy virgin fibre fill for a cuddly feel, and weighted with steel shot encased in a bag of fabric. The limbs are filled with the finest glass beads and top with fibrefill before before sealed. Baby has full arms and full legs. Painted hair so it always looks neat. 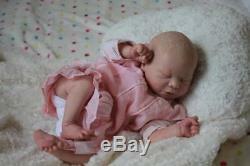 Baby has a faux suede body with non jointed arms and legs. Picture below shows baby with just her body. Artful babies adoption folder with. Adoption certificate with name of your choice. Artful Babies signed Certificate of Authenticity. Lots & lots of love. Baby will be sent carefully and securely packaged. I do not charge for packing materials. I have no control over how long it will take to arrive, they use several couriers so it is a cheap option, but it takes longer. I will despatch baby within 48 hours of cleared funds. International sales Bank Transfer preferred. IIORA Master Artist MIRA PROUD MASTER ARTRISTS CRIB ERA SSI. I have been commissioned to do several prototypes. Commissioned by Bobbi Barfoot at Truborns to reborn the prototype Hazel by sculptor AK Kitagawa. 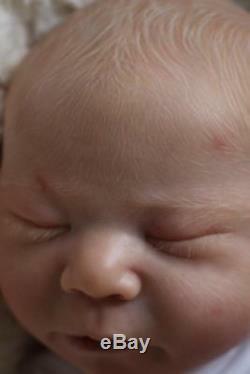 Commissioned by the sculptor Daria Fuller-Dinger to reborn Prototype #3 Baby Boo. Baby Shelby won Baby of the Month on Tinkerbell Forum in November 2009. 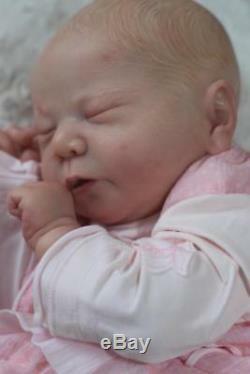 Baby Kaydence was Baby of the Month on the Realistic Reborn Dolls Website in November 2009. Commissioned by RDK, USA to reborn the Prototype Raine by Toby Morgan. 3rd place at Brighton Joy of Reborn Show April 2009. Commissioned by Puppen Traumland, Germany to reborn the Prototype Rita by Rita Rich Arnold. Template Designed by Natalie Baby-bits-n-bobs. The item "ARTFUL BABIES AWESOME REBORN CHASE BROWN BABY GIRL DOLL ULTRA REAL" is in sale since Sunday, August 19, 2018. This item is in the category "Dolls & Bears\Dolls, Clothing & Accessories\Artist & Handmade Dolls\Reborn Dolls & Accessories\Reborn Dolls". 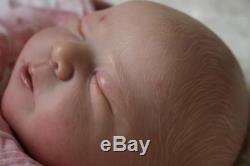 The seller is "artfulbabies" and is located in BLACKPOOL. This item can be shipped to United Kingdom, Austria, Belgium, Bulgaria, Croatia, Cyprus, Czech republic, Denmark, Estonia, Finland, France, Germany, Greece, Hungary, Ireland, Italy, Latvia, Lithuania, Luxembourg, Malta, Netherlands, Poland, Portugal, Romania, Slovakia, Slovenia, Spain, Sweden, United States, Canada, Norway, Switzerland, Ukraine.